PennsylvAsia: Took Took 98 Thai Street Food opens in Squirrel Hill. Took Took 98 Thai Street Food opens in Squirrel Hill. 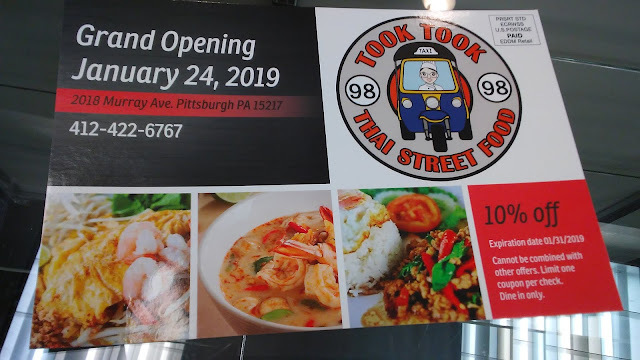 Took Took 98 Thai Street Food has opened in Squirrel Hill at 2018 Murray Ave. (map), in what was most recently Naya. Local mailings advertised Thursday's grand opening.